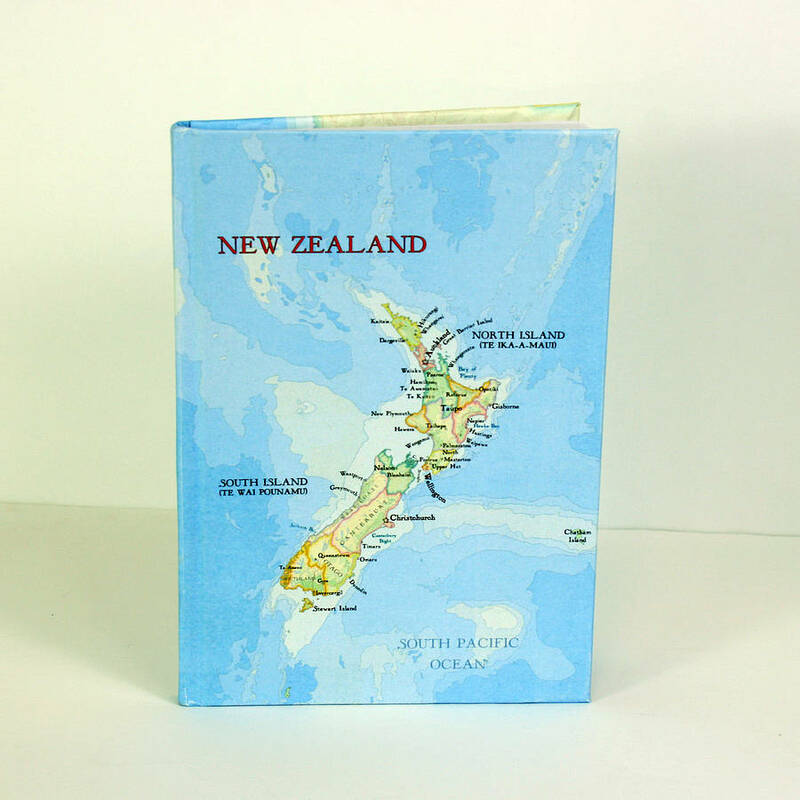 Handmade notebook covered in our very own map of New Zealand. 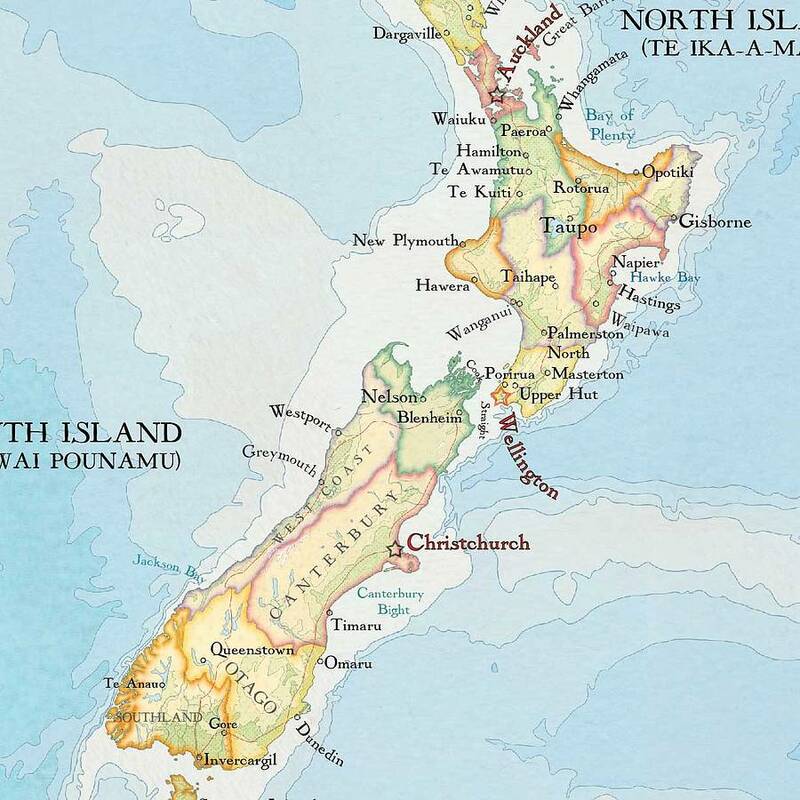 Featuring North and South Island and surrounding ocean. A perfect gift as a travel journal for a keen back packer, homesick Kiwi or just your average map geek! 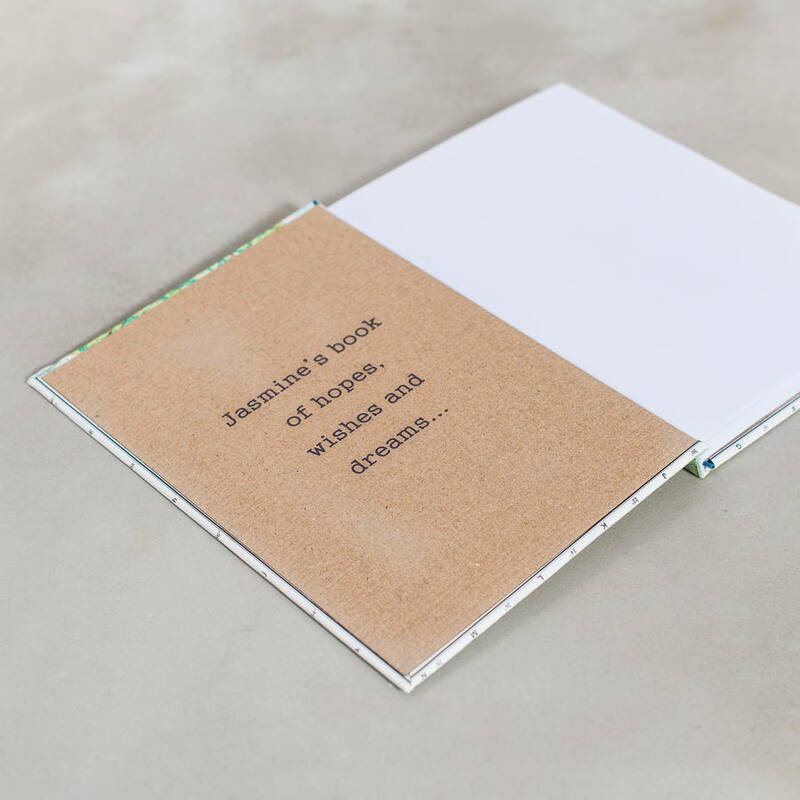 This map was hand drawn by us in our studio here in Kent. 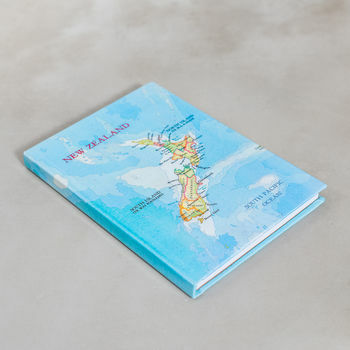 Printed with a bright blue ocean colour and bright stripes denoting the various regions of New Zealand.